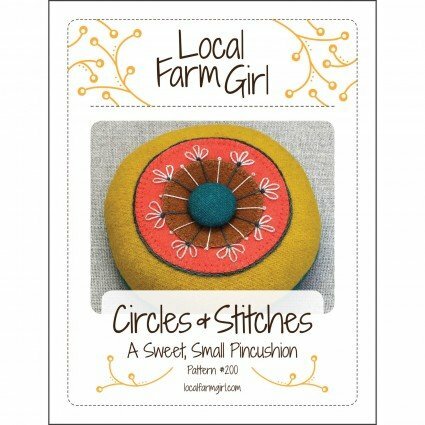 Circles and Stitches is a sweet, small pincushion that brings a little bit of color and joy into your making space or a friend's home. Pincushion finishes at 3 1/2" x 3 1/2" x 1 1/2" (approx.). Paper pattern format includes pattern templates printed on piece of freezer paper.